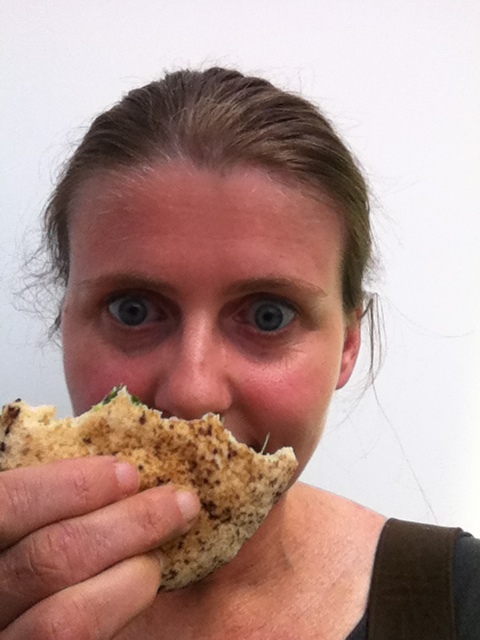 talkhealth > Blog > 2015/08 > What happened to the BFree pittas? I discovered these amazing gluten, wheat, dairy and egg free BFree Pittas as the Allergy Show London this year. They were offering half a pitta with various fillings and I found it was the only reliable lunch source so I went back in various disguises for a salad and humous pitta for my lunch. No one spotted my trick and I enjoyed my fill of these gorgeous new freefrom pittas. I bought a bulk load and froze them but now I find I’ve run out and I can’t find them anywhere. Did I dream that I had found the most perfectly delicious pitta ever? They are gluten, wheat, diary and egg free and really, you just can’t tell they’re #freefrom. I also know I didn’t dream these Bfree pittas because fellow freefrom tweeters @glutenfreemrsd @alimentarybites @dairyfree and @emmageah were also getting very excited about them. So come on Bfree, I’ve emailed you, I’ve tweeted you, I’ve blogged about your pittas. What’s happening? I need these pittas. I’m planning my holidays and I want to order some to take with me. Please don’t disappoint me. There are few freefrom products that are so very freefrom all major allergens and these pittas are to die for. I thought I’d do a little mini bloggette to see if this might flush out the pittas somehow. Has anyone found these in their local supermarket? Did you try them at the allergy show? Did you love them too? bfree gluten free pitta, coeliac, dairy allergy, dairy and wheat free pittas, egg allergy, egg free pittas, gluten, Shopping, shopping freefrom, where can I buy bfree pittas?